Overseeing investments since 1983, Morris Financial Concepts builds portfolios based on the science of capital markets and decades of research. We use a dynamic implementation process integrating research and portfolio design, along with our direct management and trading. 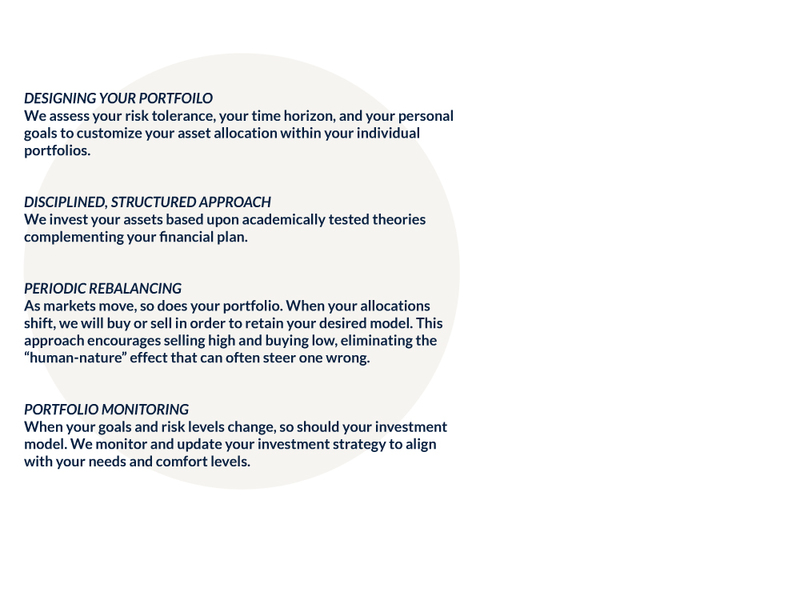 Our objective is to align your core values and life’s goals with your investments to create a portfolio that correlates with your personal needs and time frames. Our academically-proven investment strategy is based on Nobel-prize winning Modern Portfolio Theory, created by Harry M. Markowitz. We combine rigorous research with efficient execution in complex markets. Our process is applied consistently to meet the diverse needs of our clients. 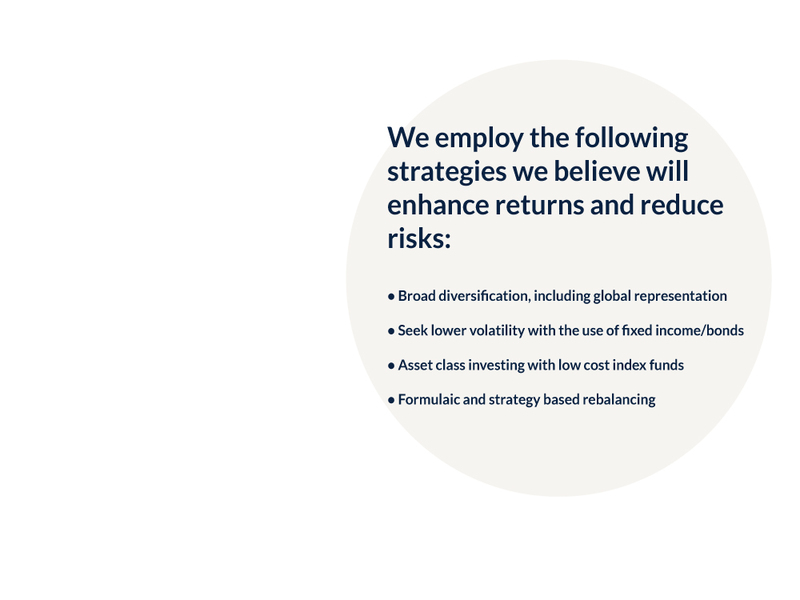 Our investment strategy incorporates over 60 years of research. These characteristics increase our confidence for long-term results. Successful investing means not only targeting those factors that may generate higher expected returns but also managing risks. Diversification is essential to counter avoidable risks such as holding too few securities, acting on market predictions in areas such as interest rate movements or relying solely on information from third-party analysts. Diversification is essential. During our financial planning process we will take you through our in-depth investment process and philosophy.